The positions are full-time for 10 weeks. During the course of the summer, fellowship recipients will be part of Notre Dame’s summer research community. 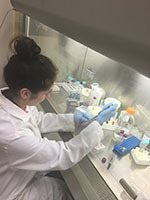 In addition to hands-on research, students in the program will have the opportunity to participate in a variety of social and professional development activities.